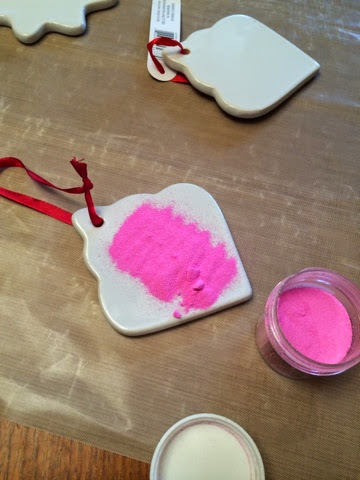 Faith, Hope and Art: Crafting Fail! 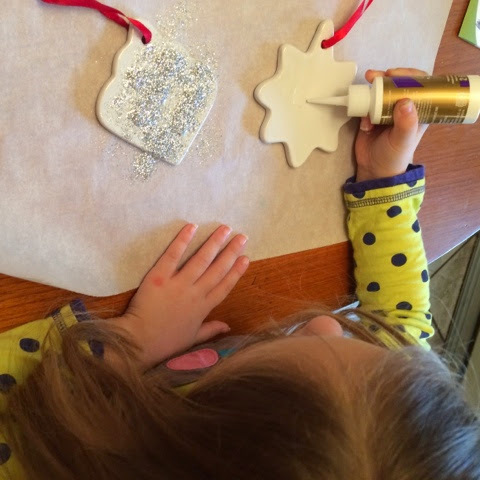 I do tons of craft projects with my kids. Tons. But this morning it was an epic fail! In fact, it was one of those moments that made me stop and say, "oh.. This is why people hate craft projects!" So what was so bad? Nothing really, just NOTHING worked right! 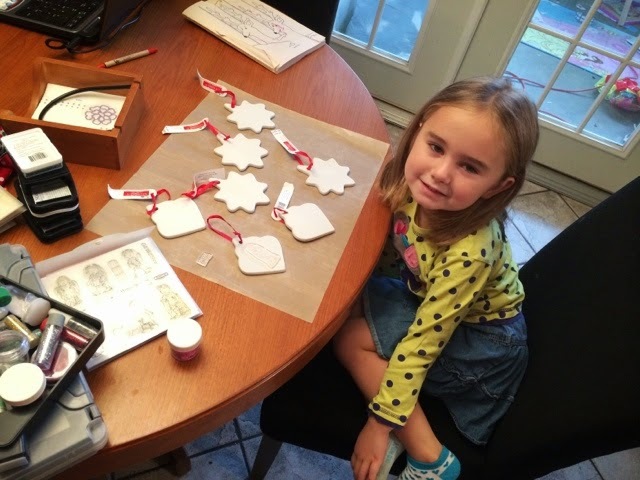 Kylie and I were set to emboss some ornament blanks. I gathered all the stuff and we got set up. 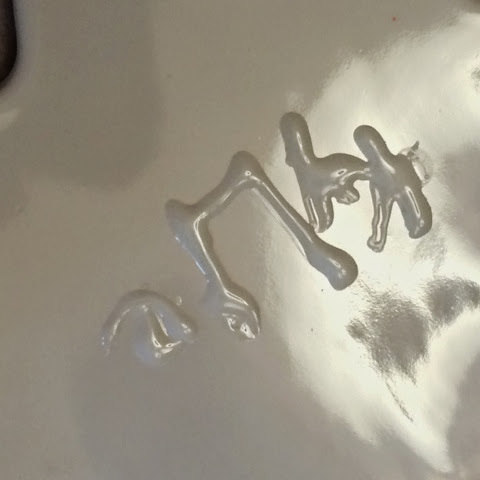 I opened up the versamark to stamp the image and it was dry. So I got out my other embossing ink to use it. It was too well loved. Ugh. So I dug around and found a white stazon that was bone dry but I had a refill.. Too bad the ink wouldn't penetrate the pad! It just puddled on top of the pad. 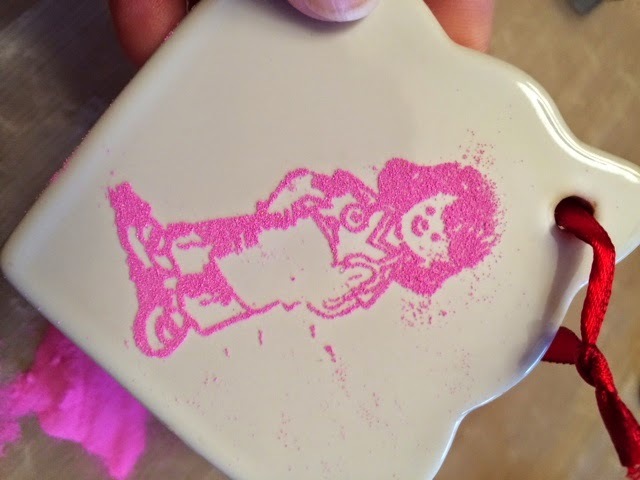 I finally got an image stamped decently on the tile and we poured embossing powder on it. Or we tried. It was stuck together like sugar in a container in humid weather. I brushed off the excess and this is what we were left with. I tried it get it to bond, but it just wiped off the tile. Soo frustrating! I did get a couple of images to finally heat set, but while I was working on that, Kylie accidently knocked off the embossing powder onto a cloth covered chair and we had to clean and vacuum that up. 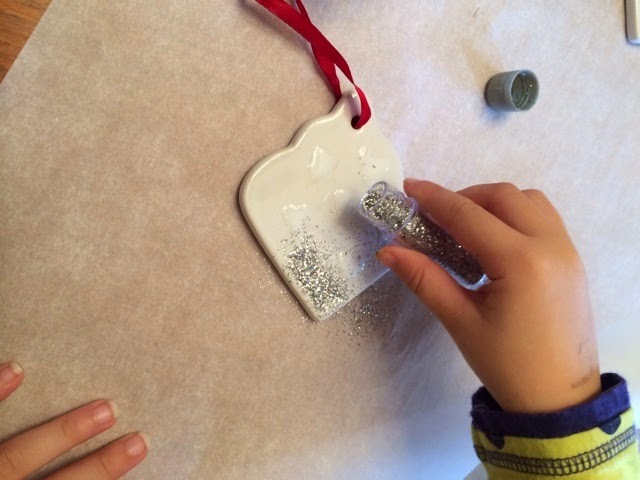 At that point we gave up on the embossing powder and switched to glue and glitter. You can imagine the amount of glitter that has now been spread around the house. 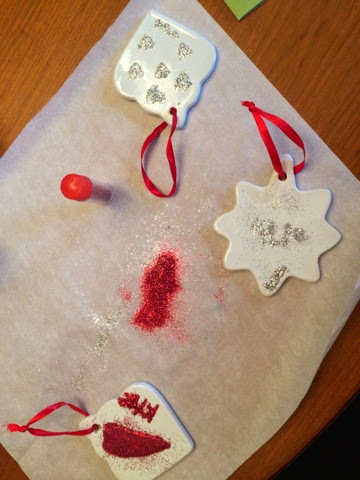 Anyway, hopefully when the ornaments have dried and we can brush off the excess glitter, they will look better. For now, I'm done with decorating ornaments!!! What I was reminded about this morning is that materials make or break the project. 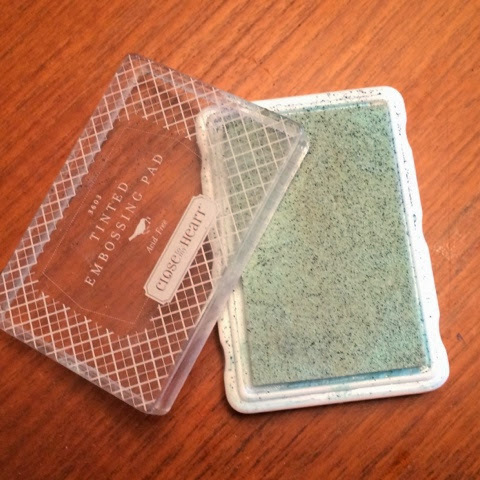 My embossing materials are almost 10 years old and have long outlived their projected life. Time to clean and purge before we try another project!